Another abstract from the Second World War Aircraft Preservation Society at Lasham. great texture and lines. Well composed shot, I don’t think its really an abstract though! Very nice one. Like the colors and perspective. Very creative capture. Abstract and nice textures. Like it. Fab tones; can almost “feel” and taste the metal. Also has a Braille like quality. I thought of Rosie the Riverter when I saw this. Can you imagine all the work? I love this perspective. Rosie the Riverter would be a great online gaming name too. The two camera tilts [?] really set this image up with a great perspective quality. 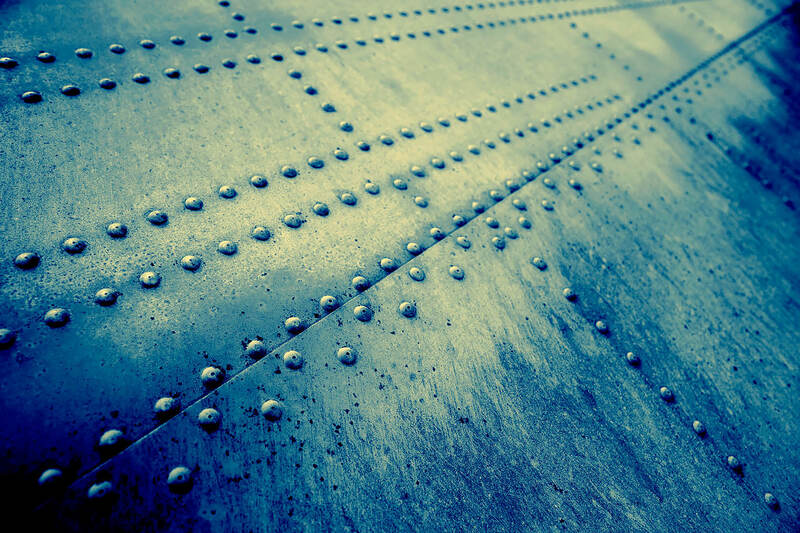 The spacing between the rivets grows as does the perspective of viewing in the foreground. The impression of the line they form becomes intermittent in the foreground from solid in the background. I like that you composed it directly between the two opposing corners really exemplifies the image content and strenghtens the perspective. Creo que este es uno de los sitios con mayor coherencia en el tiempo, conservando un estilo muy particular. Está imágen me gusta mucho por su dinámica/moviento que produce por su composición en diagonal. Love the lines, great angle and framing! really great shot. Love the color and the lines.